One by one the hooked fish are brought aboard the boat live and placed onto a sponge pad before being spiked directly in the brain, which causes an instant and painless death. This Iki-Jime technique draws all the blood to the gut cavity, away from the meat of the fish, resulting in a much cleaner tasting fillet. The muscles stop moving which keeps the fish from expending energy. In turn, this deters a buildup of lactic acid, preserving the fish’s great taste. The fish gently enter a prolonged state of rigor mortis and their shelf-life is greatly extended. This means that our fish arrive to the customer in that perfect ‘just-caught’ state. Trevally, or Kiwi Jack, is an under sung species that in the past have been squirreled away by the Captain . It’s an amazing little fish with incredible fat that directly links it to its family of Jacks including Yellowtail Kingfish (Hiramasa), Yellowtail Jack (Hamachi), and Amberjack (Kanpachi). Trevally has a very rich texture, but is a milder species that presents a rich mouth feel while impeding the big “Ocean” flavor of its relatives. 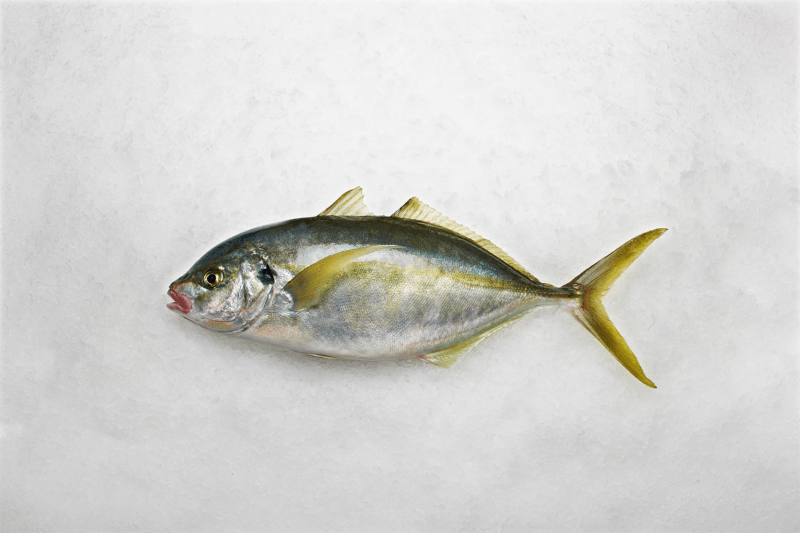 As a sushi fish the Trevally is known as Shima Aji. The term Aji is typically associated with the brilliant Mackerel, but the Trevally falls perfectly into those applications while maintaining an appeal of a light finish. Conventionally caught Trevally are phenomenal, but to have an Ike Jime processed Trevally brings to your guests a one-of-a-kind experience that elevates the menu from ordinary to extraordinary. Click the Red Link Below for an Array of Ike Jime Species. Tai has a host of species attached with the moniker. This is the Pagrus auratus from New Zealand’s pristine waters. It is a Porgy/Sea Bream that has a beautiful pink hued skin that is wonderfully edible. The flesh is a soft light pink that cooks to paper white, and is mild, sweet, and “fluffy”. Applications are limitless! Tai has been a long time favorite in traditional Japanese fare, especially in Sushi and Sashimi. Sometimes utilized as Madai, the true menu reference should contain the header Kodai. Its versatility is immaculate. 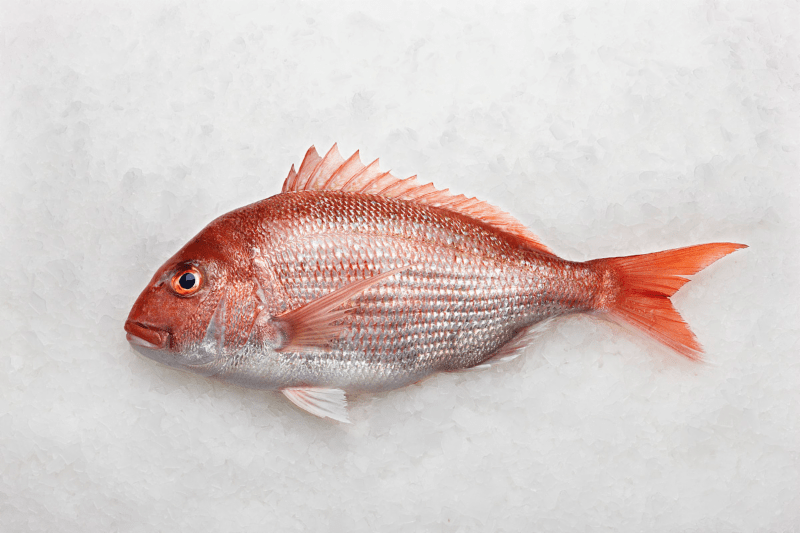 Whether slicing thin for crudo applications or gently cooking, the Red Sea Bream handles all methods beautifully. It’s a very recognizable species around the world and welcomes guests to its simple yet adaptable characteristics. Unlike other long lived fish species, New Zealand Tai reaches sexual maturity quickly and therefore is more resilient to fishing pressure. New Zealand fisheries maintain some of the highest levels of management, and the Ike Jime program only exemplifies that commitment. Wow. Just WOW. The Blue Cod, or Gindara Tara, is the pride of the Chatham Islands. One of New Zealand’s proprietary catches. Exclusive to those waters, the Ike Jime Blue Cod invites a new-to-the-program chef to a comfortable introduction in procuring New Zealand bounty. 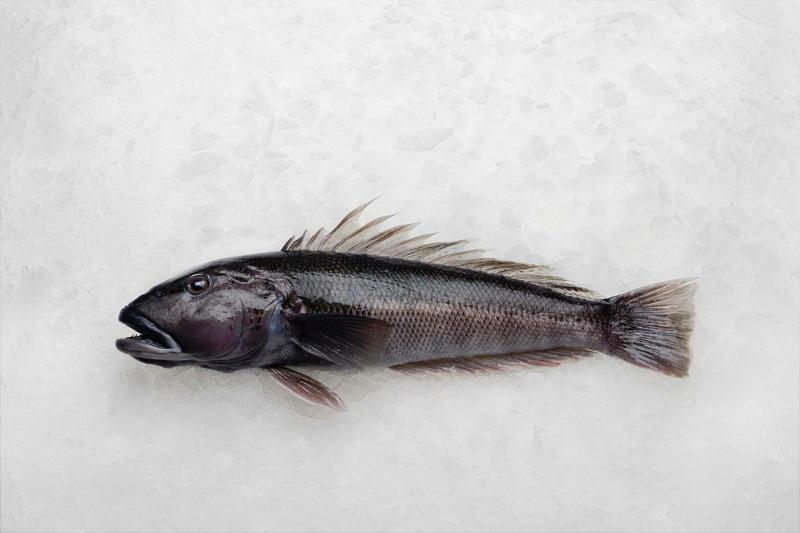 Similar to Black Cod, but the Blues hold their own in any comparison. Light, supple, and refined! The blue Cod feeds on abundances of shellfish and in turn has a sweet crab-like flavor with a succulent texture. The Blue Cod are unique, and impressive in both their mainstream catch methods and even more spectacular in the Ike Jime form. The Blue Cod can live up to 17 years and dines in the shallow shores of the Northern Islands. Tight management of Blue Cod ensures the longevity of the fishery, and promotes sustainability of the species. A long list of different species available via this program. All fish are served in their Whole form – Examples include, but are not limited to, Tai Snapper, Alfonsino, John Dory, Red Snapper, Trevally, Kingfish/Yellowtail, Tarakihi, Frostfish, Groper, Gurnard, and Scorpionfish. Ike Jime orders require at least a 2 day preorder to begin the catch as specified. As soon as the fish is caught, the brain is sliced and the spinal cord is disconnected using a long piano-like wire. The fish is then bled out in icy water. This process slows down rigor mortis, and preserves the flesh (meat) as much as possible, making for the freshest and highest-quality. Fewer amino acids are released in the flesh when the fish is killed immediately. Amino acids break down the flesh faster. All fish are coming out of New Zealand, but this process originated in Japan. The Japanese taught New Zealand fishermen this technique. Chefs can order a ‘sushi box’ with whichever species they are looking to bring in – multiple species are present in the same box. We prefer to frame this program with chefs this way – just order a sushi box, and will receive multiple species of iki-Jime killed fish. Fish are essentially, ‘caught to order’, and the boxes are ‘packed to order’. Box has the chef’s name or restaurant name on it and are packed with the whole iki-Jime fish requested as they are caught. Boxes will also have the Boat name from which the fish were caught. May also have fishermen’s names. We need to be sure that chefs understand that it can be tricky to get a whole lot of different species in one catch, and in one box. “It’s not a 7/11 type of program”… (laughs loudly). Some species are more difficult to come by than others at specific times,(for example), if the boat is not able to catch a Trevally for a box, it may be able to get a Tarakihi, Alfonsino, Gurnard, or Frostfish in the box instead. This opens up opportunity for the chef to experiment with different variety.